There’s a variety of Thai street foods included Thai dessert that can also be founded on the cart or strolls on the street of Thailand. Let’s get to know some of most popular Thai desserts. 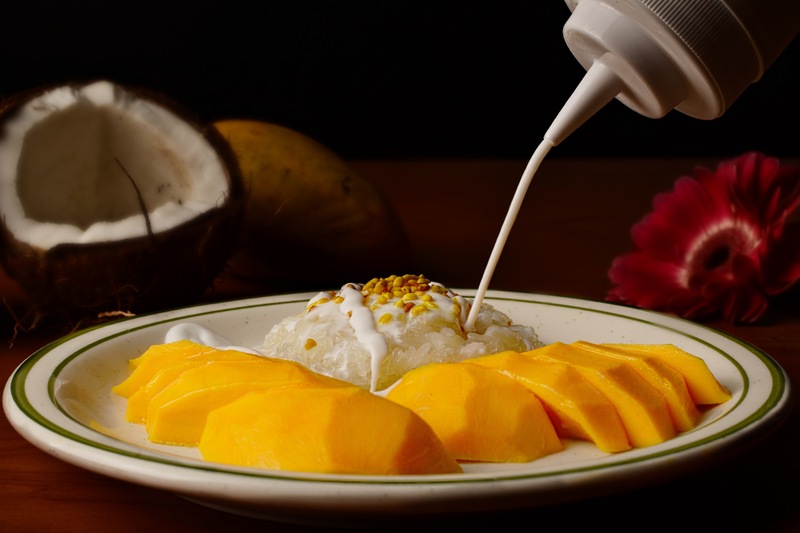 Mango sticky rice is a traditional Thai dessert, a popular sweet sticky rice that made with fresh mangos and fresh coconuts. Simply serve on a small plate and top it up with Mug bean. The sticky rice is sweet, creamy and silky. A perfect dessert to enjoy all year round. Another sweet sticky rice but with bananas yum! 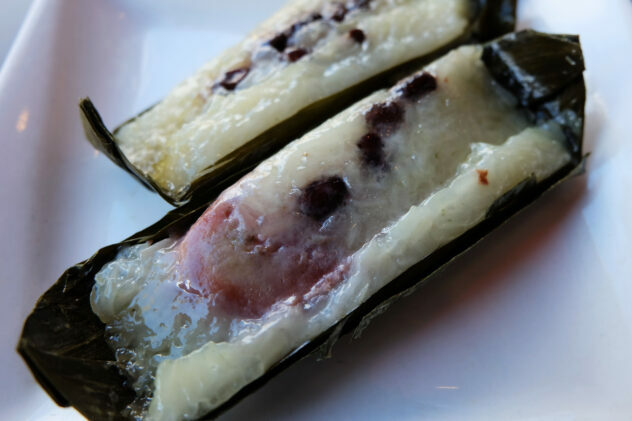 This Thai dessert made with fresh coconut, bananas, black beans, and sticky rice. It wrapped in banana leaves and streams to make the dessert real smooth and tasty. This is one of the dessert that commonly found on the street of Thailand. 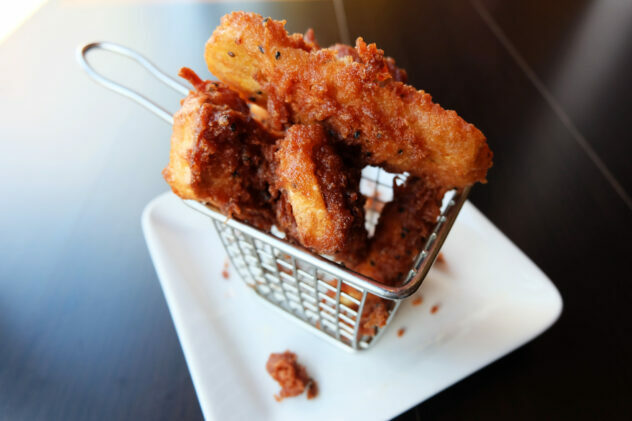 You can’t denied this popular dessert, the slice of banana coat with coconut battered and deep fried! Sometime it can be found as the mixed of taro and sweet potato. This is a common Thai dessert that can be found at the street vendors. What makes this dessert so special is the type of banana that they used is called “Burro bananas”. One of the most common bananas use in making Thai dessert. 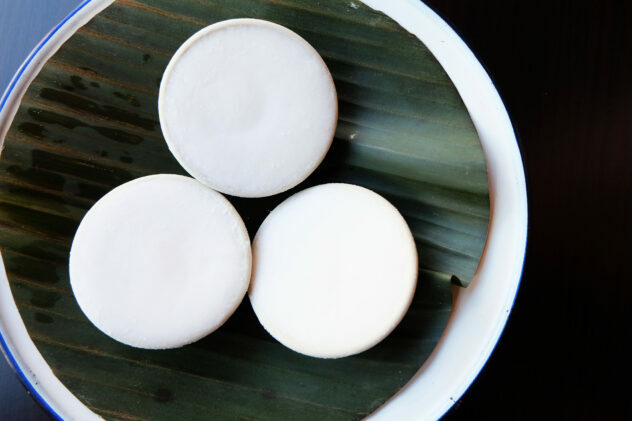 Kanom Tuay is one one the ancient and traditionally serve Thai dessert. It mades with rice flour and coconuts. The unique part about this dessert is serve in the small ceramic cups in which the dessert is cooked. Kanom Tuay is literally mean dessert in the cup. The dessert is nicely cooked in the layers which is streams with a base of sweet custard and creamy coconut on top. It’s a delicious and simple coconut Thai dessert. Most of Thai dessert main ingredient is coconut. It’s basically the heart of Thai dessert and culture itself. If you like coconut, you would enjoy all these lively dessert. At Immm, we want to make sure we have complete the culture of Thai street foods, which it why Thai dessert are also featured on our menu! You can enjoy all these popular desserts at Immm. Order online in the link below!